I’ve just finished week four of the Games MOOC and am struggling to keep up with all of the great resources and suggested activities. I manage to look at all of the resources at the beginning of the week but then don’t have time to follow up and thoroughly go over them. The problem K-12 teachers have is having time to dig in to the things they learn in professional development. 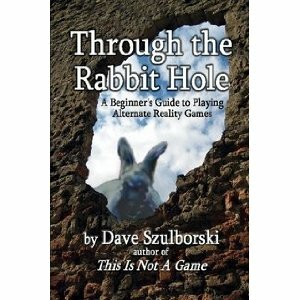 The fifth of Seven Things You Should Know About Alternate Reality Games suggests that ARGs “can be complex to design and execute” and that “constructing them might be best undertaken in a team environment.” Perhaps GamesMOOC can set up a clearinghouse for bringing people together to work on educational applications of ARGs to specific classroom situations. The other suggestion might be to carve out space in a future iteration of the GamesMOOC for collaborative project-building of specific games (one genre of which could be ARGs). These are the fragments that have come to me so far. As for a specific narrative, I think of how McGonigal used narrative in World Without Oil and Urgent Evoke: as a framework for introducing players to current issues and invite them to engage in actions they need to take to solve the problems. As for the actual story: I thought–what do I want my students to do? and then make it a game…First of all, I want them to appreciate the opportunities that they have almost 50 years after the civil rights movement. What kind of a story could I tell for them to learn about the civil rights era and also be oriented to the library? I thought of a potentially controversial topic: something to do with white supremacists attacking libraries and stealing specific books… Creating a fictional white supremacist character on twitter, though, could be problematic, given the TINAG (“this is not a game”) ethos of the medium. I’m guessing that trying to create an ARG will be hard for newcomers to the concept. I’ve been grappling with ARGs since playing McGonigal’s Urgent Evoke back in the spring of 2010–trying to figure out what these strange beasts are… I’m just beginning to get what’s going on. As an English major, I am naturally attracted to powerful stories and chose this major because of my love for literature. I have a deep craving for engaging stories and at times find myself so thoroughly immersed in the lives of fictional characters that I lose myself, somehow, in the process. It’s amazing to me how many stories I can have going at one time and yet keep track of where I am in them all–and yet still thirst for more. This love for stories stretches across all media: not only books but also movies, TV, and comics/graphic novels. When I started teaching Writing for Interactive Media at Emerson College, I began to play story-games–video games that employ narrative, or gamified stories (which dominates is one of the great debates of the 21st century between narratologists and ludologists). What I can say is that any games I’ve played to date (most of them RPGs like Fable and Assassin’s Creed) do not satisfy me in the way that good literature does. 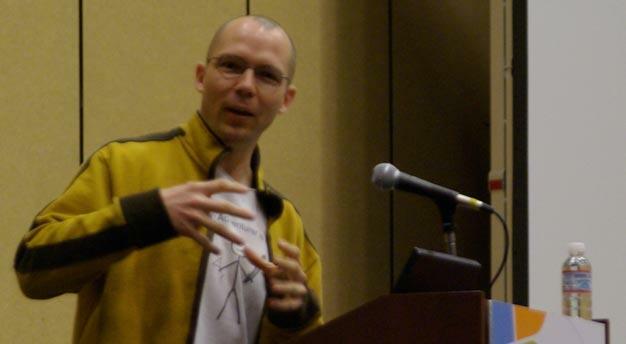 This is indie game-designer Jonathan Blow’s primary critique of the video game industry: he wants to make games that really touch people the way that fine art and great literature can, and he doesn’t see this happening yet. This story has great emotional power yet includes interactive game elements with significant choice that truly effect the story’s outcome. I also heard recently about a newly released game called Cart Life that looks like it might have the same powerful effect. As for me, I’m happy to see games like this that begin to approach the emotional depth that some of the best books I’ve read have achieved. As I consider the materials for Week 2 of the Games MOOC course I’m taking, I think of the context where I work and of how hard it has been to bring about even the most obvious of institutional changes. Some of the readings asked us to look at recent New Horizon reports, where the next 1-5 years of edtech adoption are anticipated for any given year. It’s interesting to look back and see how their predictions fared. For example, the 2009 report for K-12 (the first of its kind for K-12) speaks of “collaborative environments” and “online communication tools” in one year or less; “mobiles” and “cloud computing” in 2-3 years, and “smart objects” and “the personal web” in 4-5 years. The only one of these that has begun to impact my own school is “cloud computing,” and that impact will only be felt in the “back end” (data closet applications of a hybrid hosted solution for a phone system), with occasional use of cloud storage. My point is simple: there needs to be some degree of institutional support for these kinds of changes to become widely integrated. Otherwise, it remains to the “outliers” or pioneering teachers to continue experimenting and integrating the latest technologies (the latest being games and mobile devices and augmented reality, all subjects of this latest round of the Games MOOC). The other point: the required paradigm shift — a move toward “student-centered,” constructivist or “constructionist” models of education with “inquiry-based learning,” “problem-based learning,” and the like — has been discussed and theorized for decades now. There is very much a slow trickle-down process (molasses like!) when it comes to how these ideas infiltrate current practices. 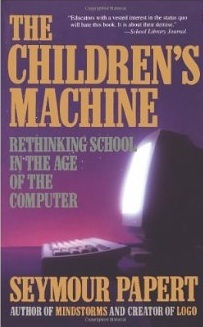 When I first read it back in the early 1990s, I was encouraged by Seymour Papert’s book The Children’s Machine: Rethinking School in the Age of Computers, in which he writes that “…computers serve best when they allow everything to change.” He describes the phenomenon of School as a bureaucracy that absorbs any innovations and sequesters them, enabling the existing system to continue unchallenged. This has been my experience for the past 16 years trying to integrate this kind of change Papert advocates in his book, which has been published for almost 20 years now. I think with schools being pushed into 1:1 initiatives and/or BYOD, the technology might finally push the institution into shifting the paradigm at long last. It’s been a long time since I posted to this blog, and this is partly due to time constraints as a result of becoming involved in the academy again with the Interactive Media course I’ve been teaching at Emerson College for the past four years. Doing this every spring has introduced a new rhythm into my life whereby I usually collapse/relax once the course is done (and this lasts through the summer), begin to think about the course again come fall (including investigation of new textbooks and syllabus revision), and then teach the course in the spring. I have detours into little projects that occupy my time (one fall was devoted to researching genealogy; a summer or two was given over to working on interactive fiction projects, and last May-June was focused on finishing an interactive fiction for the Cover Stories “speed IF”). Since August, I’ve been spending a good bit of my spare time taking different MOOCs being offered by coursera.org and udacity.com–another way to stay busy! Throughout this time, games and gaming have become more central to the course that I’m teaching, both in the readings and course content. Lately, I’ve been investigating the possibility of gamifying my syllabus and just didn’t have enough time to do so for Spring 2013. So when I discovered GamesMOOC and its focus on ARGs (Alternative Reality Games) and AR (Augmented Reality), I felt completely obligated (or I should say “intrinsically motivated”) to take this course. I return to blogging here, therefore, as a result of my participation in that course, hoping to achieve the “Games Based Learning Badge” that they are offering. We’ll see how well I do, given my various time constraints…. (I’m also developing a “mini MOOC” course for the UnderAcademy College that will be starting as the Emerson class ends). I’ve also been following Gregory Ulmer‘s ongoing evolution over the past four years, in part by interviewing him for the class every year as well as by reading his recent book Avatar Emergency. His ideas about electracy become more clear the more I spend time with his thought, and it continues to unify a wide variety of reading, experience, and intuitions that I have regarding the transition from literacy to electracy that is occurring so rapidly. He recognizes what he calls the “third axis of electracy” as demarcating a spectrum of pleasure and pain (which, when superimposed upon the vertical axis of orality demarcating right and wrong and the horizontal axis of literacy demarcating true and false, attempts to capture a new dimension of experience now more and more valued as embodiment gradually loses the stigma associated with it by the Judeo-Christian religions. See below. [image from Jan Rune Holmevik’s book Intervention: Free Play in the Age of Electracy). All the recent talk of “fun engineering,” “the engagement economy,” and “hard fun” points toward the harnessing of pleasure by means of gamification and confirms the work that Ulmer has done providing the philosophical foundations undergirding these movements in our culture and educational institutions. The third round of the GamesMOOC just focused on “Fun, Flow and Fiero” for its first TweetChat and so it too falls into this recent trend of figuring out how to tap the pleasure gradient in the era of electracy. I have been inspired to read Jane Bennett’s Vibrant Matter: A Political Ecology of Things after finding an online reader’s group of philosophy bloggers. As this book follows in the footsteps of Gilles Deleuze and Manuel De Landa, I was immediately interested, given my past focus on their work. 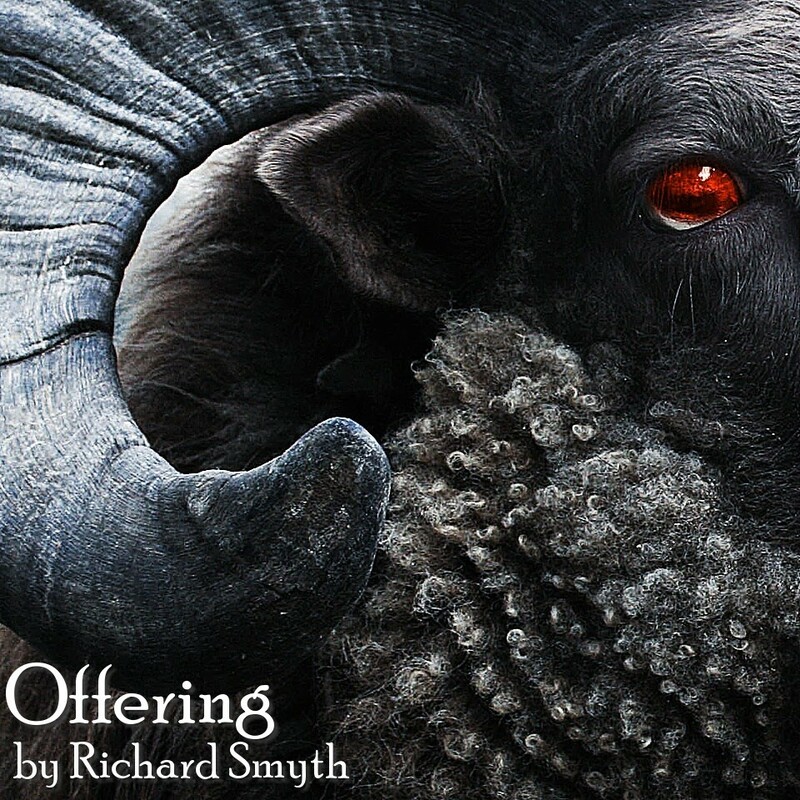 I am a bit behind in the reading schedule and may never catch up, but given the title of this blog entry, I guess that should be okay. So how does one think slowly? Perhaps it is as easy as paying more attention. In the words of one aphorism, “a thing is simple or complex, depending on how much attention one pays it.” Slow thinking would suggest the kind of attention to historical process that De Landa makes famous in his A Thousand Years of Nonlinear History, a book that Bennett uses (among others) to frame her argument in chapter one. Soft tissue (gels and aerosols, muscle and nerve) reigned supreme until 5000 million years ago. At that point, some of the conglomerations of fleshy matter-energy that made up life underwent a sudden mineralization, and a new material for constructing living creatures emerged: bone. It is almost as if the mineral world that had served as a substratum for the emergence of biological creatures was reasserting itself” (11, quoting Nonlinear History p. 26). She also quotes Adorno at one point, who writes, “What we may call the thing itself is not positively and immediately at hand. He who wants to know it must think more, not less” (13). This “thinking more,” I believe, is enhanced by “the long view of time” Bennett mentions. Slow thinking allows for a sedimentation, a layering of processes and matter-energy flows that make up the complex expression of the here-and-now (or the wherever-and-whenever we happen to be attending to). Bennett discusses Adorno’s “negative dialectics” as a way to “become more cognizant that conceptualization automatically obscures the inadequacy of its concepts,” at one point quoting him as saying, “objects do not go into their concepts without leaving a remainder” (14, emphasis mine). I wondered here again about the possibility of a different way of thinking, along the lines developed in a previous blog post trying to think beyond the concept. Perhaps there’s something here that would allow me to develop the idea of “the incept” as a way in to an object, a kind of “becoming-thought-object,” a thinking-with or -through an object. Such inceptual thinking would require a slowing down, a kind of phase-alignment of one’s own energy with the objects under observation (for her it was the debris that “provoked affects in me” ). At any rate, Vibrant Matter is stimulating to say the least, and I look forward to following the discussion of the reading group in the days to come. While at the Immersive Education Initiative‘s Boston Summit April 23-25, I went to a workshop on Open Cobalt, an open source virtual world browser and toolkit. What I found most helpful about the presentation was the “historical” overview, which began with reference to the radical nature of linking in Gopher (a text-based predecessor to the WWW) as well as the “walled gardens” of CompuServ and AOL. One of the keynote speakers, Duke University professor Julian Lombardi, compared the “closed source” approach of Second Life to these walled gardens of the past and presented Open Cobalt as a potential solution to the current situation. I immediately recognized the great potential for using this platform to have students experiment with the creation of virtual memory palaces, a concept I presented last month in the Writing for New Media class I’m teaching at Emerson College this spring. Open Cobalt’s ability to connect virtual worlds via links echoing the powers of connection that Gopher inaugurated in the 1990s can allow for collaborative projects and experiments in collective intelligence (or collective mnemonics). The possibilities are quite exciting–I saw this as one of the most promising developments to come out of the conference. I’ve just discovered a new feature of Youtube that allows one to annotate videos with speech bubbles, notes, and “spotlights” (or links to other Youtube videos). This has the potential to turn Youtube videos in to an interactive media format that can allow for narratives with choice and branching stories. The notes and speech bubbles also make the video window look very similar to a pane in a comic book. It will allow for another layer of meaning to be added to a video, as well as the insertion of text into video–always possible but a “track” that rarely gets used. There is much potential in these new tools, and there should be some interesting artistic applications and experiments to emerge.